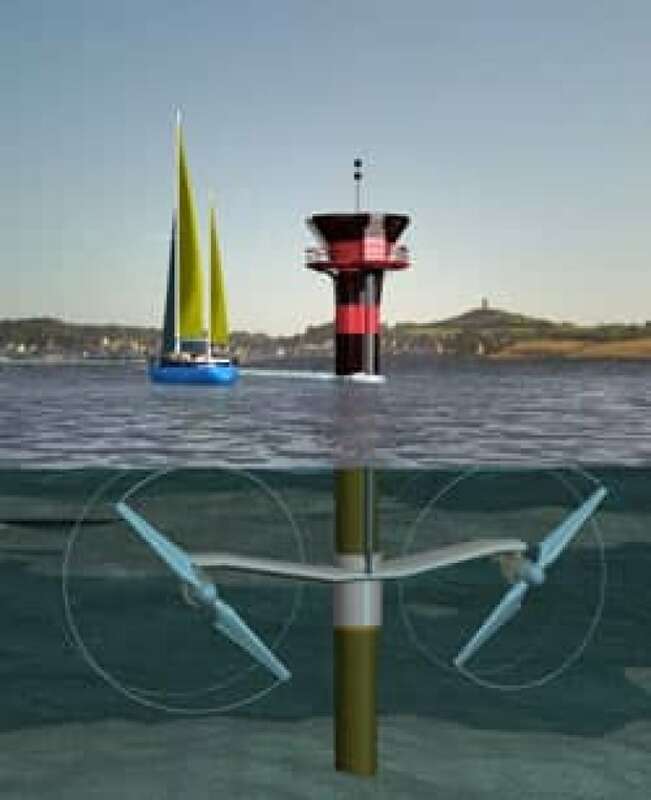 Tidal power could be a multi-billion industry in the Maritimes, according a new study commissioned by the Offshore Energy Research Association. An artist's rendition shows a turbine harnessing power from the Bay of Fundy tides. (Canadian Press)The Bay of Fundy has the potential to generate $1.7 billion for the Nova Scotia economy by 2040, the study found. But New Brunswick trails its neighbour in spurring development of the renewable energy opportunity, said Stephen Dempsey, executive director of OERA, a Halifax-based independent, not-for-profit organization. For example, Nova Scotia has a system that pays alternative energy developers a higher rate. "Those typically are expressed as fees in tariffs, a payment mechanism for the power that respects the power is more expensive in its early stages than other power," said Dempsey. "You need a mechanism to deal with that. We haven't seen the same sort of response from New Brunswick." Dempsey says the study proves the value of investing in tidal energy, including 22,000 jobs in Nova Scotia alone. "But for all this to be realized, it's going to require a more deliberate effort to get from where we are now, which is a very early stage, to a commercial stage, which would see companies from our region not just working in the Bay of Fundy, but in bays all around the world." He compares tidal power now to wind energy three decades ago — in its infancy, but with huge potential. The report claims the global industry could be worth $900 billion by 2050. But there are barriers to overcome, including developing technology that works at a price that makes sense. A turbine is expected to be installed at a test site in Parrsboro, N.S., some time this year. Four underwater power cables were recently installed at the site, capable of transmitting 64 megawatts of power.